At Cafe Hayek, Don Boudreaux links to his Freeman article from December 2003 on the source of rights. Don’s article is excellent, but there is a subtlety that I think needs to be highlighted and discussed to prevent misunderstanding. There is a difference between the enforcement of rights and the creation of rights. Those who enforce are not necessarily the same as those who create. For example, let’s say I create a business: I design the product, I market it, I sell it, etc. However, to protect my business, I hire someone to patrol the grounds when I am not around. While I created the business, she enforces my claim to the business. It’d be incorrect to conclude that, because she enforces the claim, she thereby created the claim. She was just chosen as the method of the enforcement; the claim (in this case, the business) preceded her. Indeed, it had to. The same is true of rights. A government may be desirable to enforce and protect rights (like the nightwatchman in my example above), but those rights need to precede the enforcement. So, the fact that an agency enforces something does not mean that it also creates. Pointing to the government as an enforcer does nothing to show that it is the originator. Rights are inherent in in our nature as human beings, or we are endowed by our creator. Some people will argue that we have no rights except those others allow us to have, and I’ve never understood that notion. It’s common with people who believe that the collective is sovereign, not the individual. Other people can certainly violate my rights, but others didn’t create them, and they can’t be separated from me. It’s true that the state is not the SOURCE of human rights. But history has shown over and over again that a well functioning constitutional democracy does the best job of protecting human rights compared to everything else that humans have tried. Like it or not, human rights are social conventions. Before you object that that trivializes them, consider the fact that we are a thoroughly social species and that our most important social conventions by far are those around human rights. Before you object that that is too fragile a basis for human rights consider how often history has shown us just how fragile respect for human rights has always been. The founders thought their human rights came from God. Well that’s a pretty fragile foundation since the existence of God is impossible to prove and even if it is proven there is no guarantee that God would respect human liberty and rights. It might be a God who would torture you forever in hell for a sin so trivial it didn’t even hurt another human being. What could be more despotic than that? And of course anyone falling back on a belief in Darwinian Natural Selection has to face the corollary that we are descended from much simpler forms of life. Surely the rights of a fish are different from the rights of a human. Evolution of humans necessarily involves evolution of human rights. And this is just what we see when we view rights through the lens of social convention. Human rights are the thing most worth fighting for but the worst way to fight for them is to place them on an indefensible foundation. This is just beautifully written. Jon is right, that’s a beautifully written comment, and deserves a thoughtful and carefully considered response – something I don’t have time for right now. I will respond later today if at all possible. If not the state, then what IS the source? Where do individual rights come from – if they exist at all? Can some people confer rights on others? If so, where did they get them in the first place? Lots of unanswered questions here. The best job of any system we know of, not the best possible system, and that doesn’t address where those rights come from. And of course there are plenty of shortcomings to be found in any form of government, no matter how well intentioned or benign, if it assumes a monopoly on the use of force. And, in fact, “well functioning constitutional democracy” may be an oxymoron. That doesn’t explain the source of those rights, but only acknowledges that they are now more widely recognized, than any other time in human history. Deirdre McKloskey has written extensively on the historically recent phenomenon of enlightened awareness of the value and dignity of the individual, and credits it with the explosive increase in human well being in the last few hundred years. You are conflating multiple documents, multiple historical actors, and multiple historical events, but I think I know what you are trying to say. It’s also possible that you are using the term “self-evident” incorrectly. If there’s a new “language convention” for the use of that term that I am completely unaware of, then I apologize and stand corrected. Self-evident doesn’t mean “obvious”. But in any case, it is for the reasons you listed that I don’t rely on those documents/people/events for support of my natural rights argument. Absolutely. I prefer the term John locke and Thomas Jefferson used, which is “Creator”. That only requires that a person believe that something exists in the universe we know of that is greater than and precedes man himself. That would include a concept of God, nature, random events, and/or any other source of our existence – and our rights. I know that I didn’t create myself through an act of will, so there is something else going on. Well yes, fish are not aware of their rights, but we can see that they instinctively act to protect them, whether as individuals or as a group. Evolution of humans necessarily involves evolution of human rights. Just as having two eyes, opposing thumbs, live birth, walking upright, and large brains evolved. You appear to be defending my position, not your own. What’s up with that? What we see through the lens of social convention is an increasing awareness over time of the importance of individual human beings, an awareness of their individual sovereignty and their natural rights. You haven’t yet established a foundation for human rights. Are you going to claim that I have no rights other than those granted by other people? We’re here at that point at which I must use the term “self-ownership”, although I know you prefer others. Self-determination, and self-control work as well. Absolute right of control of something is a good definition of ownership. I own myself. Other people don’t own me, although they can control my actions through the use of physical force, or threats of physical force. I have a right, as everyone does, to be let alone to peacefully pursue my own ends. All human beings will act to preserve themselves from loss of life, loss of liberty, and loss of property. I would say that constitutes a “right” to life, liberty, and property. It is part of our nature as humans, just as many other attributes are. We instinctively exercise those “rights” whether by ourselves interacting with others. Therefore, they don’t depend on other people for their existence. You may call this phenomenon something other than “rights”, but I don’t think you will deny that these characteristics exist. The problem with Natural Rights arguments isn’t that it’s too hard to invoke them. The problem with them is they are so easy to invoke that they can effortlessly be used to defend opposite positions or any position at all. The most common arguments against the morality of slavery have always been Natural Rights arguments. Ditto for the most common arguments FOR the morality of slavery. And not just among idiots. Aristotle and Plato favored Natural Rights arguments in favor of slavery as well as almost half of all Americans until only a few generations ago. In physics the worst insult to a proposed theory is to be called “not even wrong.” This is a way of pointing out that proposing a wrong idea can still advance our knowledge when it is proven wrong. Proposing an unfalsifiable idea rarely advances the conversation. Now obviously, the standards for political philosophy are and ought to be different from physics but there is a similar problem here. There is some falsification to be found in political philosophy by historical counter examples as when someone argues something is impossible that has already happened as a historical event. So yes, no doubt there is some possible future system that is better than history has seen yet but let’s keep that in perspective by remembering that there are an infinitely larger number of worse possible systems than our current one. No, I am going to claim you have no rights other than those that you and like minded people can claim and defend and make a reality. The notion of political rights and their expansion began with an assertion by nobles of the rights they claimed the crown had to respect. It certainly didn’t begin with anything like a belief in universal human rights. You apparently believe that the historically recent expansion in the reality of more protection for human rights is unrelated to the expansion of constitutional democracy. It looks like more than a co-incidence to me. Valid natural rights arguments require consistent applicability to all “persons”. A natural rights argument in favor of slavery require that those enslaved either aren’t actually people, or are cursed by God or some other such nonsense. There must be some way to differentiate those enslaved from “real people” like the enslavers. Dark skin color was historically a handy discriminator in the US. In other cases “they” were defeated in battle, and by definition were different from “us”, as we don’t go to war against, or reach out to conquer “us” . Without some way of describing slaves and strangers as being different from ourselves we have cognitive dissonance. In other our rights are whatever we want them to be. Not a very satisfying thought. I was discussing natural negative rights, not political rights. First of all I would argue, as does Hobbes, that men are free and independent, and have a right to self ownership, which includes a right to pursue their own self-interest. However, unlike Hobbes, I don’t believe that’s all there is, and that individuals have no responsibility for others. As you pointed out, and with which I agree, we are, most of us, social creatures, who need and enjoy the company of others, and recognize the benefits of cooperation and community with others. I believe this too is a part of our nature as human beings. We feel a moral obligation to others that works to our mutual benefit, but which doesn’t in any way diminish our right to self determination. IF we wish to benefit from cooperation with others and from membership in the group, we must acknowledge that others have the same right of self determination we claim for ourselves. This doesn’t seem particularly controversial or difficult to understand. Enjoying the benefits of group membership may also require adherence to other rules and restrictions on our behavior to which we readily agree and consent as a condition of group membership – the benefits being greater than the costs. At all times, however, reserving the right to self determination to ourselves, we may withdraw from membership in the group and give up the benefits provided by that membership if we so choose. Consent is important here, and is not irrevokable, as we cannot alienate our right to self determination. I believe you have the cause and effect backwards. Exercises in self determination including free markets and capitalism predate constitutional democracy by centuries. For most of recent history such political arrangements were few and far between, and even today are not the norm among systems of government. not needing to be demonstrated or explained; obvious. Well, you got me there. I relied on the “needs no additional proof” definition. The reason I put so much emphasis on showing that rights are a social convention is because that implicitly addresses the question of what is their source. Is it a mystery to you where social conventions come from? It shouldn’t be. All social conventions are emergent, self organizing patterns of behavior that result from the individual decisions of many individual agents. For reasons that aren’t that hard to understand with hindsight, humans have become increasingly inclined towards co-operation. As Steven Pinker has shown with exhaustive research, the average person in the world today encounters much less violence than in almost any previous era. Even the horrific violence of the first half of the 20th century did not touch a larger percentage of the world population than was the case for most of human history. Perhaps technology will change that as the nuclear era proceeds but not because individuals are more prone to violating each other’s rights than they used to be but because so much destructive power can be in the hands of so few individuals. Human nature changes slowly in terms of biology but much faster in terms of culture and social norms. The fact that almost all animals act to defend their own lives and interests is almost as likely to be the source of the VIOLATION of rights as it is to be the source of their defense. It is often in one animal’s interest (human or not) to abuse what you would think of as the rights of other animals (human or not). Luckily, after a long history of horrific brutality, most human cultures have discovered that the gains from co-operation can be surprisingly large. It is that, much more than any innate sense of Natural Rights, that has driven the expansion of human rights. Of course, none of this is to deny that we do have a biological nature which has limits despite being impressively elastic. And evolution has outfitted all but sociopaths with a conscience that has the survival value of facilitating co-operation over conflict. You always write as if the only other possible source of rights than Natural Rights theory is to have rights “granted” or conferred” on you. This is a false dichotomy. In actual history the main source of the expansion of human rights has been the willingness of people to claim and defend them and build coalitions for that purpose. Social conventions are not the primary issue. You are discussing restrictions on individual behavior and permissions granted to individuals by the group, which presumably have emerged over timebecause they provide the most benefit for the largest number of members of the group. I am discussing individual natural rights that exist whether or not a person is a a dues paying member of any particular group, or is all alone in the world. Robinson Crusoe had a natural right of self determination, and would act to protect his life, liberty, and property from loss due to any cause whether it was a natural occurrence, a wild animal, or another person. Nothing emerged by custom to provide him with those rights. In order to associate and cooperate peacefully with other humans, he needed only to respect those same rights for every other person. He decided that cooperation with Friday was more valuable to him than killing him on the spot to reduce risks to his own rights, and to reduce competition for resources. Both Crusoe and Friday benefited from this cooperative agreement, as they expected to, but both had individual rights before they met, and retained those rights after they met. This same principle holds true no matter how many individual people you add to the mix. Even without intending to. See “I Pencil”. This has resulted to some extent from the much larger number of humans in the world now, adding ever increasing value to the mix, to the increased benefit of all. I read the Pinker book, and found your enthusiasm unwarranted. As I wrote previously, I think he assumes many of his conclusions, and reaches others with insufficient data to make such sweeping statements as he does. Most of human history as it relates to individuals is unknown to us, including accurate estimates of the number of people alive on Earth at various times from which to draw conclusions about levels of violence. We know very little about millions of people who may have lived peaceful and uneventful lives, because they didn’t think to record those dull lives for our edification far in the future. And unless those few people who DID contribute were part of what we know now as Western Civilization, we are just mostly left in the dark. The fact that almost all animals act to defend their own lives and interests is almost as likely to be the source of the VIOLATION of rights as it is to be the source of their defense. It is often in one animal’s interest (human or not) to abuse what you would think of as the rights of other animals (human or not). While essentially correct, this doesn’t address whether or not such rights exist. I’ve repeatedly acknowledged that just having rights doesn’t guarantee they won’t be violated, and in fact they often are violated, up to this very day. One would think so, but as we can see, one of the supposedly most “enlightened” human societies in the world, is also the one that initiates the most violence world wide these days. How would you reconcile that? And how would you explain that that same society that has probably gained the most from cooperation of any society in the world, has now elected a president whose goal is to reduce worldwide cooperation as much as possible? Is that because people recognize the inate quality of individual natural rights and understand that cooperation is the best way of defending them? BTW I’m a big fan of social conventions, and common customs and norms as an acceptable form of governance. In fact I believe that such customary law can be enough to negate the need for the state. OK then, let me ask you a question you have so far sidestepped: As “a big fan of social conventions” do you deny that human rights are a form of social convention? If you do deny that, what aspects of a social convention do think they lack? If you don’t deny they are a social convention, then why is it any harder to identify their source than for any other social convention? I think you are making this into a much harder problem than it really is. Your link on Locke suggest that Locke was inclined to conflate Natural Rights and Natural Law arguments. Natural Rights arguments tend to emphasize our individual separateness. Natural Law arguments are more inclined to acknowledge our fundamental interdependence. It seems to me that, by the standards of this link, you are making more of a Natural Law argument while seeking to somehow jettison many of the duties implicit in mainstream Natural Law arguments as Locke did. You say that “Valid natural rights arguments require consistent applicability to all “persons” but you find ways to define some people as outside their applicability just as easily as Plato and Aristotle and our slave owning founding fathers did. Anyone who doesn’t share your own highly unusual views about rights is at some risk of being declared an “outlaw” by you and thereby stripped of their rights. You normally read a lot more carefully than this. Isn’t it obvious that the rights you want might be very, very different from the ones you can claim and defend? And isn’t it obvious that reality may be very dissatisfying to your thoughts even when it is accurately described? Note also that in your example of Crusoe and Friday, either one could have withdrawn from their social contract at will at any time and murdered the other without any violation of anyone’s rights or the system of ethics that you are advocating. In the bizarrely impersonal world of an-cap ethics this would simply be a permissible change in their contractual relationship rather than a rights violation issue. This possible result should alert you to how fatally flawed an-cap ethics are. I deny that social convention is the source of our natural right to self determination and the resultant right do defend and preserve our lives, liberty, and property which logically follows. This is a basic characteristic of all humans, just as walking upright and giving birth to live young are. It is observable in nature, and operates whether people are alone or in groups. Unlike Hobbes, however, I don’t believe that’s all there is to it. Humans are social creatures, and also desire interaction with others, and experience an affinity for others like themselves, which we tend to describe as a moral obligation or a duty to others. For example, most of us will instinctively rush into the water to save a child from drowning, even at great risk to our own safety, or share our limited food with another person who is hungry. This affinity for others is an additional defining characteristic of human beings, and doesn’t conflict with our basic right of self determination. I would seem that social conventions and behavioral norms have developed over time and with experience as the best ways for people to avoid conflict and to live peacefully together for their greater mutual benefit. There are what you call political and civil rights, and what I call permissions and privileges that have developed over human history to minimize conflict. They are not the innate natural rights that are part of our nature as human beings, but as you correctly claim, have developed from social conventions. I don’t know that he confused the two, but he wasn’t satisfied that our natural rights were everything necessary to define a human being, and that there was more than just Hobbes’ “war of all against all” unless someone was in charge who could force his will on everyone else – a sovereign of some kind. Locke recognized natural rights, but additionally recognized the emergence of social conventions and natural (common) law as a means of reducing conflict and promoting peaceful cooperation for greater mutual benefit. The two concepts aren’t in conflict. Yes. They aren’t mutually exclusive. I am arguing that both natural rights and natural law apply. The former is part of our nature as human beings, the latter emerged from our nature as social creatures. “Do unto others …” is an expression of this desire for peaceful cooperation as is the NAP. We don’t give up any natural rights by limiting our actions to avoid harming others. “You say that “Valid natural rights arguments require consistent applicability to all “persons” but you find ways to define some people as outside their applicability just as easily as Plato and Aristotle and our slave owning founding fathers did. I’m not sure what you mean. If we can define others as “non-persons’ then we can own them as we own animals, or kill them in large numbers. My view is not at all highly unusual, you’re just not used to hearing it articulated so well or so willingly. Those who offend the rights of members of a cooperative group risk losing membership in that group, thereby losing the protection ofy that group and any other benefits resulting from membership..
No. Perhaps I don’t understand what you mean by that. No. Whose reality do you mean? My reality includes a natural right to self determination that is part of our nature as human beings. Your reality, as I understand it, includes no rights inherent in our nature, but only those privileges we are allowed by others. I must not be writing clearly. Yes, either Friday or Crusoe could have changed their mind about the advantages of peaceful cooperation and could have killed the other. They would have violated the natural right of the other person to not be killed. There is nothing I’ve ever written that would remotely imply otherwise. Gross mischaracterization. An-caps are extremely compassionate and generous. It is part of their nature as human beings. They just don’t believe that forcing others against their will is any form of compassion or generosity. You haven’t gotten this from anything I’ve ever written, so you may want to recheck your source. You have probably misunderstood what you read. You want to deny that social convention is the source of those rights you describe as Natural Rights but you want to do it without being able to identify any attributes of social convention that they lack. You want to do this on the grounds that Natural Rights have an even deeper source in human nature. That won’t work because ALL social conventions have a deeper source in human nature. Every human social convention must be consistent with human nature. That’s not something unique to social conventions surrounding Natural Rights. The emergence of societies that consistently respect what you call Natural Rights and value the individual over the group is something quite new in human history. The punishment of perceived crimes and rights violations is a big problem for an-cap philosophy especially since it can’t come up with a Natural Right to a fair trial before punishment is applied. My understanding is that anyone not accepting the laws agreed to by the voluntary members of an an-cap group is an outlaw to that group and may be harmed by anyone without breaking the law. There is not just the absence of protection but an explicit permission to harm the outlaw. Am I misunderstanding that? And of course there will be competing groups with different ideas about which laws are valid and which punishments should apply. In complying with one group’s laws you might well violate another’s. As for your claim that people holding advocating an-cap philosophy are “not at all highly unusual” that is just absurd on it’s face. I am 67years old and I have never met one in person yet and could count on my fingers the number I have met on the internet after frequenting libertarian sites for years. And we are not done with Crusoe and Friday either. Crusoe arrived on the island first and actively homesteaded it for years. That made it entirely his private property by an-cap standards. He could have “legally” killed Friday on the grounds that Friday was trespassing on his private property and attempting to steal some of the stuff on it to survive on. He could have called that defending his Natural Rights. What you wrote was entirely reasonable and not so controversial. It’s Ron who has been getting unjustifiably rambunctious. It will be. One of the tabs on the left-hand side is “My Research.” You can find my papers there. I don’t know when that paper will be completed. It’s one of 4 I have in the pipeline right now of various states of readiness and levels of priority. Perhaps we should revisit some foundational notions and see exactly what we DO agree on, if anything. 1) I believe that each human being has a Natural Right of self determination which includes a right to defend themselves against loss of life, liberty and property, and it is “self evident” that they will invariably do so. This right (set of rights, characteristic, attribute) is inherent in our nature as human being, and doesn’t depend on whether we are all alone in the world, as Crusoe was, or whether we live in a community of other people. 2) To interact peacefully with others to the greater benefit of all, requires some self imposed limits on individual behavior that in no way reduces our basic Natural Right to self determination. These mutually agreed limits become social conventions. If you need more room to write your answer you may continue on the back of this sheet. There are two possible ways to talk about the sense in which a person “has” a right. One sense is as a description of the way we think things ought to be. The other is as a description of the way things actually are. Neither is wrong but it is wrong to conflate the two. A person always “has” his opinion about whether or not people are behaving as they ought to with regard to the rights he ought to be enjoying. Whether or not a person “has” the actual enjoyment of those rights in practice is an entirely different matter and one on which people often disagree. Few things are more common than a dispute in which each side thinks the other has violated their rights. 1) Many people have been born into slavery, lived their whole lives in slavery, and never resisted. So people do not “invariably” resist violations of their rights. Many, if not most, of the people killed in the Holocaust went meekly their deaths without resisting. Some resist and some don’t. So let’s start by acknowledging that reactions here in the real world are a whole lot more “variable” than your theory allows for. 2) Interacting peacefully with other people to the greater benefit of all necessarily requires some compromises that we would prefer not to have to make but which are better than the available alternatives. More available choices always increase our opportunities for self-determination. More available choices tend to be a good thing that increases our well-being but more choices don’t always have that effect. No matter how many choices are available some people will be bitterly dissatisfied with those choices. Your satisfaction is not guaranteed. Greg, I believe you have side stepped the question, probably not intentionally. Let me ask it in a very simple way: Do I own myself? 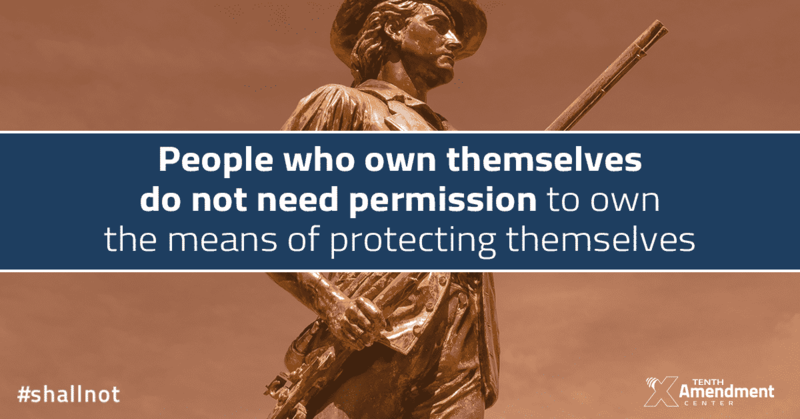 May I *rightfully* defend myself against threats to that self ownership? Or is the right to self defense granted by other people, and experienced as a social convention? Note that self defense isn’t limited to only interactions with other humans. I will try to avoid falling rocks. I will try to escape charging rhinos. I will swim to shore to avoid drowning. You can regard yourself as owning yourself if you really feel you need an owner. It won’t do any harm. I regard the idea that people need owners as a vestige of more barbaric times that we should be glad to be done with. Of course you may rightfully defend yourself but you will find you are likely to be much more successful at it if you live in an area with a government that will recognize that right and recognize its own responsibility to help you with that. You are most likely to get such help in places where there is a social convention that favors it. You may or may not have the “experience” of recognizing that this social convention exists. I encourage you to continue to avoid falling rocks, charging rhinos and drowning. Owning myself precludes anyone else from owning me. It is a recognition that it is I who determines my own actions, and I who controls myself. In my view, owning, controlling and determining mean pretty much the same thing. As before, if “owning” is troublesome for you I will try to avoid it. And of course “owning” myself means that as with anything else that I “own”, I may contractually transfer some of my ownership rights to, say, my time and my labor to someone else, just as I may transfer some of my usage right to a rental house to others in exchange for other consideration. I prefer money. The person who rents my real property is called a “tenant”. The person who rents my time and labor is called an “employer”, and of course the “employer” owns the specific output of my time and labor to which we have agreed. Note again, that I will take those defensive actions because it is part of my nature as a human being, not because I rely on any social convention for guidance. I am preserving my “ownership” in, control of, self determination for, myself, for my own future benefit. Perhaps you can recommend such an area. My first thought was the US, but then I remembered Waco and Ruby Ridge. I don’t recall the government helping anyone defend themselves from those atrocities, in fact if memory serves, it was the government that perpetrated those crimes against humanity. And I believe the woman responsible for authorizing the mass murder at Waco was still walking free, on the streets of this great country,until Nov 2016. No they don’t. Raising your hand in class to get permission to go to the bathroom has no deeper source in human nature. Driving on the right (left) side of the road has no deeper source in human nature. Covering one’s body when weather doesn’t call for such protection has no deeper source in human nature. Saying excuse me when we belch has no deeper source in human nature. Those are all social conventions that have arisen for one reason or another to facilitate orderly human interactions and to avoid conflicts. Your example of a fair trial is a social convention that has no deeper basis in human nature, and it’s not clear why you insist there should be one in order to validate a belief in natural rights. That’s not the same as saying those conventions AROSE from human nature, only that they are not inconsistant with human nature. They sifted out as the best ways of reducing conflicts and promoting mutual benefit. What is REALLY inconsistent with human nature is a belief that those who rule us do so primarily in OUR best interest and not their own. Yes, the “Biggest Bully” theory appears to dominate societies throughout history, and still does. Allying oneself with the Biggest Bully against others often provides greater immediate rewards than does protecting the rights of individuals. We all struggle to balance immediate gratification and self interest against the well-being of others. Not at all. There IS no Natural Right to a trial, let alone a fair trial. That concept requires social interaction, and arises as a social convention. Our natural empathy with others makes this social convention possible. For some strange reason, some folks actually believe that employees of the Biggest Bully (the state) are the most fair minded among us and therefore the best qualified to enforce the rules and mete out punishment. In fact employees of the state can decide that a crime has occurred even if there is no victim, or in cases where the actual victim chooses not to pursue a case against the violator of their rights. There’s nothing just about that. BTW you are aware that the idea of a trial by jury arose as a defense against the arbitrary power of the state, right? That’s a rather simplistic and incomplete view. A person who doesn’t agree to abide by the customs and laws of a voluntary group only becomes an outlaw if they violate the rights of a group member, and thereby forfeits the protection of their own rights and benefits of membership of the group. It seems like we’ve covered this before. To some extent. Absence of protection is just that. The outlaw has lost the protection of the group, and the group will not act to protect him against violation of his rights by others. It’s not that he’s “fair game”, but that he is in that state of nature Hobbes described. He’s on his own. We currently have varying laws and punishments among different political jurisdictions. How is this difference handled now? Considering that the only laws in an an-cap society would be ones against violating the rights of others, it’s hard to imagine there would be much of a problem. Again, not likely. That problem currently exists, and is somehow dealt with. You old fart! 🙂 (I’m 73). Surely you don’t suggest that your own personal experience is sufficient to make absolute claims about the prevalence of an-cap philosophy. I would accept “unusual”, but not “highly unusual”. Many such libertarians profess to believe in natural rights, but aren’t able to articulate their positions successfully without running into that murky government and taxation issue. Still others point to the US Constitution and those stirring words in the DOI about the source of our rights without perhaps understanding what the words actually mean. “Turned it to his own use” may be a better term than “homesteaded” as that implies a claim against others, which didn’t apply in his case. There were no actual or potential counterclaims until Friday showed up. He just did whatever he wanted with anything and everything he found at hand. Maybe “squatter” would be an even better descriptor, as we don’t know the status of any prior claims. But I digress. Yes, you’re right. Crusoe could have considered Friday a trespasser and as a believer in proportionality, might have simply advised Friday of his transgression and asked him to leave. When Friday repeatedly refused to do so, Crusoe might have escalated his use of force and eventually invoked the ultimate defense against trespass by killing Friday. But of course the same problem can occur in today’s world of massive populations and multiple layers of government when a trespass occurs and there is no protection agency available to intervene before the threat to the trespasee escalates until a clear case of self defense justifies the use of deadly force. And of course as luck would have it, Crusoe DIDN’T consider Friday a trespasser, but instead welcomed him to share in the additional bounty possible through mutual cooperation. That was probably the better choice for everyone involved. OK fair enough. Let me be more clear then. They AROSE from human nature. Only in humans, not in any other animals do all those conventional behaviors you listed arise because only human nature gives rise to them. I agree that those who rule act primarily in their own interest. The reason constitutional democracy works better than all other arrangements that have been tried is that it does a better job than other systems of aligning the self interest of politicians with the self interest of voters. If the gap gets too large voters replace the incumbents and they know they have to worry about this. Politicians have to compete for voter support. Competition is as important in politics as in economics. Yes, I am aware of that. Last I heard you still thought the jury system was an outrage against your principles. It almost sounds like you have had a change of heart on the issue. Your imagination is so active and vivid when fantasizing about the glory of smooth running an-cap arrangements. It’s a bit jarring how quickly it fails you when anticipating possible problems. Oh come on. What could be more universal and “natural’ than thinking it is unfair to be punished without a chance to defend yourself against the charges? Got me: I shouldn’t have used the word “invariably”. You’re right of course. I think people in dire straits choose the option that allows them to live for a few more minute rather than dying on the spot. Compromise is the wrong word. If we perceive interacting peacefully as our best choice – and it is almost always a choice – then that is every bit as much of an act of self determination as killing someone on the spot and taking their stuff.would be. When we choose we are acting on our right to self determination. Perhaps I’ve been remiss in not describing self determination as the ability to choose from among the options available to us. Slaves and holocaust victims had very few good options, and inaction may have semed like the better choice under the immediate circumstances. Buying more time provides hope. BTW those born into slavery may have been following the social convention practiced by all those around them. From what I hear, those Africans NOT born into slavery certainly resisted being captured and transported to the new world. Yes. Self determination means freedom to choose from those options available to us. More choice is always better than fewer choices. Absolutely true on both counts, I’m bitterly disappointed that I can’t just fly to the top of that tree in my neighbor’s yard. My other choices of ways to get there are unsatisfactory. But I’m not sure how that relates to whether or not a right to self determination.exists. OK then there are 195 different countries in the world that people live in. That’s not enough choice for you. As far as I can tell, you are in the one you like best but still dissatisfied you don’t have even more choice. Sometimes the key to happiness is lowered expectations. Wow. A lot to respond to in this short comment. First of all, I don’t think this is actually a response to my point that self determination includes decisions to take a positive action, and also decisions to refrain from taking a positive action. In either case we are exercising our full right to self determination. We haven’t compromised anything, nor have we restricted that right in any way by choosing one action over another, or by choosing inaction over action. A decision to work cooperatively with others is every bit as much an unhampered exercise of our right of self determination as is a decision to kill them and take their stuff. Then, you seem to be arguing my point that there may be a limit to the number of choices, many physical, that keep us from just “doing whatever we want”. Unlimited freedom to act is not really a thing. Lastly, you seem to be telling me how many choices I should be satisfied with. Is 195 enough? I have no idea. Apparently not even the best available (my subjective evaluation) is good enough, because here I am grumbling about the one I live in. Of course it is a default choice, as I was born here, and there is a very high cost for changing my selection. I don’t see enough upside to living anywhere else to justify the cost, so here I stay. But that doesn’t mean I must be satisfied with what I have. As you know from your study of Austrian economics, people have unlimited wants. They are never completely satisfied, and there is never enough of most things to satisfy all demand for those things. Very zen, but no thanks. BTW thanks for the opportunity to be “rambunctious’. It’s been a very long time since I’ve been accused of such naughtiness. OK, let me make sure I understand this. You are claiming that the social convention of driving on the right (left) side of the road arose from human nature because only humans drive on the right (left) side of the road. In fact you could also claim the the attribution of “left’ and “right’ arose from human nature because only humans make that distinction (AFAIK) If that’s your assertion, then you are absolutely correct, but it’s trivial and mostly uninteresting. I would rather say “It is consistent with human nature to develop a social convention for passing others on the roadway going in the opposite direction because it minimizes conflicts and injuries to do so. Imagine how much better their interests and incentives would align with those they represent if they were subject to market forces and competition, such that “votors” could chose someone else on a daily basis! I think we could easily agree to privatize all but a handful of government provided services at every level before we began to disagree. Why should there be any gap at all between the interests of voters and the incentives for politicians to serve those interests in order to serve their own? Nonesense. I may or may not get to change politicians once a year at best, and my choices are limited to a very few who get permission from the state to run. Contrast that with my choices of supermarkets and the mind boggling array of goods available to me in each market. Both the markets themselves and the producers of goods in the market compete fiercely for my votes, which I can redirect at any time and in any amount on nothing more than a whim. It’s not even close. The jury system is the one bright spot in a so-called justice system that is run entirely by the government. The state has the frightening power to charge people with crimes in which there isn’t even a victim. Sorry you were triggered. If you mean possible problems with an ancap private justice system that don’t already exist in our current system, you will have to elaborate. With so many fewer laws to trip us up, I really can’t think of any. That is a relatively recent concept in human history and is even now not universal. Is a fair trial something that concerned Crusoe when he lived all on his own? Sorry, it can’t be a Natural Right as it doesn’t exist outside of a societal setting. It is a social convention. We are now rehashing arguments we have had many times. I’m leaving on a ski trip later today so I will attempt to make this my last comment in the thread and give you the last word unless you write something entirely new or just too desperately in need of correction. You have already admitted earlier in the discussion that there are no aspects of a social convention you can identify that Natural Rights lack. You want to claim that, despite this, Natural Rights could not have arisen as other social conventions did because they were the first social conventions and have some qualities that other social conventions don’t. Any subset has characteristics that make it different from other subsets within the larger set they are both a part of. This is an example of that. Just because squirrels have some characteristics that distinguish them from other mammals doesn’t mean they are not mammals. Nor does it create some special problem making it any harder to attribute the evolution of squirrels to natural selection than would be the case for any other species of mammal. if we were able to trace natural selection back far enough, we would discover a common ancestor that all mammals shared. If we could identify that animal as the first mammal, that would not create need to deny that it arose from natural selection. Quite the opposite. It would support the theory of Natural Selection. You are trying to solve an imaginary problem in thinking that the arising of Natural Rights came from a fundamentally different process than the one that has given rise to all social conventions. That’s the bad news for your argument. The good news for your argument is that you don’t need all that special pleading to mount a defense of the rights you think are most important. You can do it more effectively by jettisoning the bad arguments and going directly to making the argument for the beneficial consequences you see from the values and practices you advocate. Of course that first mammal no doubt had a well developed sense of self determination, and most likely acted decisively to protect its life, liberty, and property, but I’m not so sure it was very much concerned about a fair trial.or driving on the right side of the road. We have inherited our self ownership through many branchings of the tree from that first mammal and even earlier, but sophisticated social conventions had to wait for big brained humans in complex social settings to emerge. If memory serves, you went on a ski trip last time we had a lengthy discussion, just so you could end the conversation. There must be easier methods.